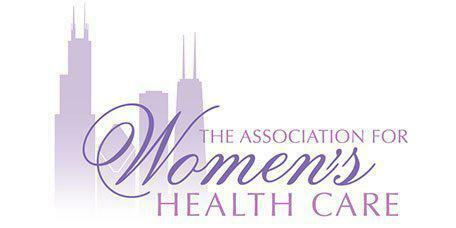 The Association for Women's Health Care always appreciates feedback from our valued patients. To date, we’re thrilled to have collected 673 reviews with an average rating of 4.91 out of 5 stars. Please read what others are saying about The Association for Women's Health Care below, and as always, we would love to collect your feedback. Dr. Weiss is always happy to see me and has a very laid back manner. He is very reassuring and calming. Dr. Sibul is very caring and positive. I also trust his knowledge. Just the wait times are little long. Tiffany is an incredible doctor and makes every visit seamless! Dr. Ginsberg was highly knowledgeable, patient, and a good listener. Very happy and satisfied with my visit. I highly recommend Dr. Bryant!! I have been seeing her for 5 years and she recently delivered my first child. Her professionalism, knowledge and warmth make her not only an amazing doctor but a kind and caring one as well. She's simply the best! He is a good Dr, with rich knowledge and good manners. He really listens and care. I've been seeing Dr Ullman for 43 years. He delivered my two children. Need I say more? Great from start to finish! Thank you!! As always, I love Dr.Wharton. She always goes above and beyond to hear my concerns and to monitor my endo! I feel lucky to have found her. I have been going to The Association for Women's Healthcare for about 5 years now and have not been disappointed. I have seen multiple doctor's as my original doctor moved away. Everyone has been extremely friendly and makes the experience as comfortable as possible. The only reason I gave this review 4 stars is I typically have to wait close to 45 minutes to see a doctor every time I have an appointment. This makes getting away from work and back difficult in the middle of the day. Dr.Baum is the most amazing doctor. I love that Dr. Wharton took plenty of time to talk to me and answer all of my questions. She is friendly, knowledgeable and detail-oriented in the most positive way. On time and great experience as always. Not all of the Association of Women’s Health Care (AWHC) physicians participate in all of the plans listed below. Patients are advised to contact their insurance company before an appointment to verify individual physician participation. We suggest that if your insurance does not appear on this list that you call your insurance provider and ask if our practice, or specifically the physician you are going to see, is in-network. *Please note that our insurance plans may change or we may not be accepting certain types of insurance at times, so please contact us at Chicago (312) 726-3917 or Northbrook (847) 498-0690 to check if we take your insurance plan.